It’s that time of year again! We’re excited to announce our 3rd annual Mommy & Me Portraits for the Cure event, where we raise money to support breast cancer research. 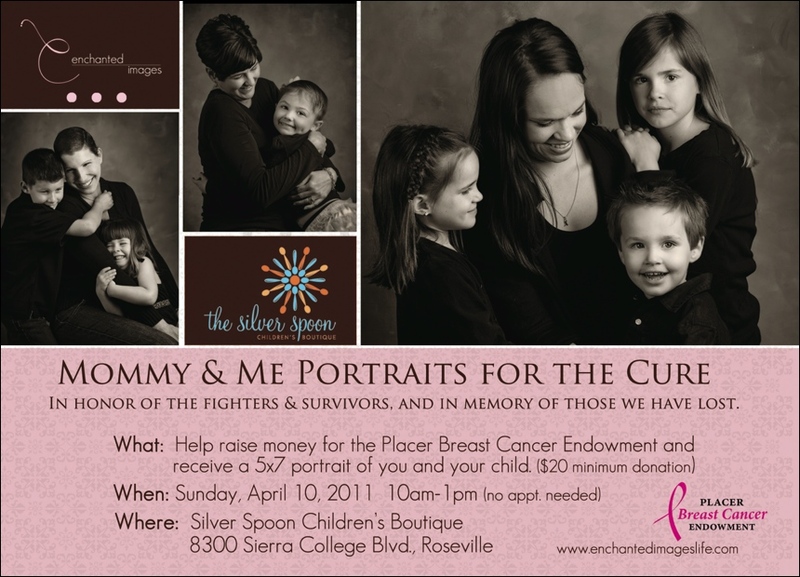 This year we’re keeping it local and donating the proceeds to the Placer Breast Cancer Endowment. As usual, the event will be held at The Silver Spoon children’s boutique. No appointments are needed, so just come in while we’re there! The portraits will be made like those you see here, so dark colors will photograph the best. We want to say a special “thank you” to the three lovely women and their kids who are featured here and have each been affected by breast cancer in different ways. You are all strong, courageous, and deserve to be celebrated!